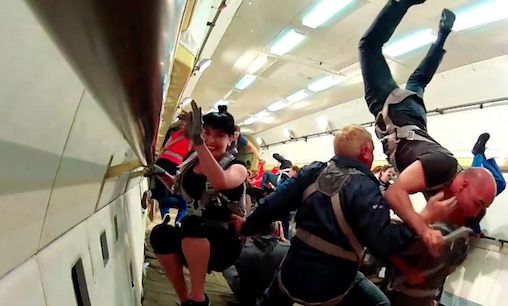 WHAT DOES ZERO GRAVITY FEEL LIKE? Without gravity, there no longer is up or down, neither are objects light- or heavy-weight. While experiencing weightlessness on the downward slope of the parabola, passengers onboard the IL-76 MDK are exposed to 2G inside the cabin at the transition points from descent to ascent and during the actual climb-phase back to 20,000 ft AGL. creating weightlessness for a total of approximately 7 minutes over the 1.5 hour course of the entire zero-G flight experience. Welcome to the Flight Club zero-gravity flights tutorial. 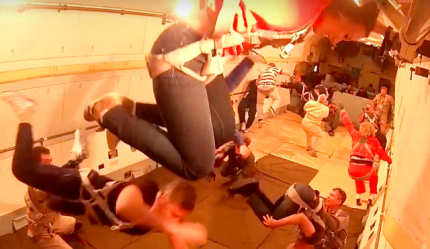 Experience zero gravity during a series of parabola flights onboard the IL-76 MDK. Travel with us to the Chkalovsky airfield located at the Yuri Gagarin Cosmonaut Training Centre in Star City, Russia. An action-packed journey into a world where no gravity exists! This page explains how zero-G parabola flights work, shows a video of what your zero-G experience on-board the IL-76 MDK will actually look like, provides detailed tour itineraries and a schedule with up-coming zero-G flight dates, associated tour prices and booking procedures. At the end, we have all the answers to FAQs. The Ilyushin IL-76 MDK climbs with full thrust and at a 45 degree angle to an altitude of approximately 20,000 ft AGL, before taking the power out and going nose over. From that moment on, everything and everybody inside the plane is "floating" weightlessly, that is, until about 25 seconds later, when the IL-76 MDK is transitioning from its nose dive into yet another steep ascent (hence the nick-name "parabola flight). All Flight Club adventure trips and air sport events are once-in-a-lifetime experiences, custom-tailored according to your personal preferences. to book the entire IL-76 MDK exclusively for yourself or for a private group of up to 14 friends. 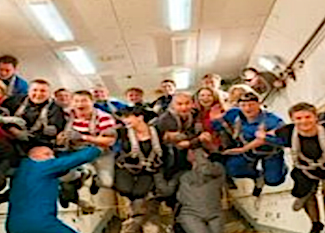 the IL-76 MDK zero-G flight experience plus 3 fun days in Moscow. Your trip starts with your personal guide/ multi-lingual translator picking you up at your hotel in Moscow at 06.00 am on the day of your zero-G flight. The course of events throughout the day is similar to that of day #2 in the 3 day trip itinerary (detailed description follows right below) with the exception that, as part of the 1 day trip, we do not offer the night-time sight-seeing tour around Moscow. Your event with us concludes with the safe return to your hotel in Moscow. Your zero-g flight adventure starts with your personal guide/ multi-lingual translator picking you up at any of the 3 Moscow international airports. We will bring you to your selected hotel in the city and assist with the check-in (as early as 14.00 pm) procedure. We advise our guests to plan for a mid-day arrival to Moscow, as we invite you on a guided night-time sight-seeing tour around town later in the evening. 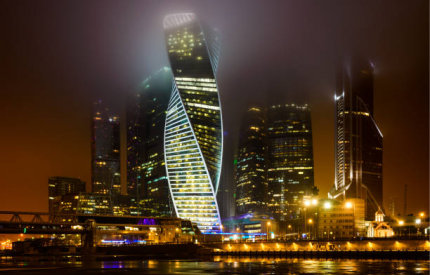 We will meet you in Moscow city at 06.00 am at either your hotel or in the office of our local service partners. After a short briefing in regards to the daily schedule of events, we will pack up and drive to the Yuri Gagarin Cosmonaut Training Centre in Star City. The commute will take us a good hour, depending on traffic. Upon our arrival in Star City, we'll work our way through the security checkpoint and head over to the medical centre for a pre-flight check-up. The procedure is common and you got no worries there. 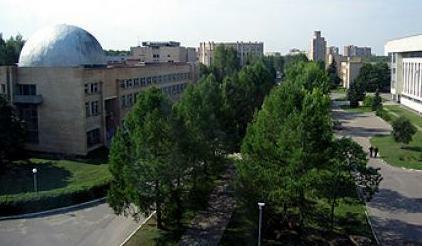 After receiving your medical clearance certificates, we invite you on on an interesting guided tour around the GCTC. Once you are somewhat familiar with your new surroundings, you'll be attending the pre-flight briefing. It is conducted by staff members of the GCTC and will teach you everything there is to know about safety and a variety of other aspects regarding your zero-G parabola flight onboard the IL-76 MDK. We will then transfer to the near-by Chkalovsky airfield, where we meet the IL-76 MDK flight crew and get dressed up for success - with a jump-suit and... wait for it.... a parachute. Once everyone is all suited up, it' s time for some last minute, hands-on emergency procedure practice. We'll play and drill the proper response to a variety of unusual- and emergency situations which might occur during any phase of the zero-G parabola flight. Goal of these exercises, is for you to become familiar with your new environment onboard the seriously giant Ilyushin IL-76 MDK, have some fun and prepare for a safe zero-g flight experience. Once all pre-flight procedures are completed and the "all-clear" comes out of the cockpit, we'll get onto the taxi-way and roll out onto the runway for show-time! You are now only moments away from four powerful Soloviev D-30KP turbo-fans, each creating roughly 26,400 lbs. of thrust, launching you into a world where no gravity exists. During the next 90 minutes, the IL-76 MDK will repeat its familiar parabola shape flight pattern 12-15 times and thus, over the entire course of the zero-g flight experience, create onboard weightless conditions for around 7 minutes total. Following your safe return to Chkalovsky airfield, there will be a an award ceremony in honour of your achievement, where you will be presented a certificate, video and photos of this memorable flight. After the ceremony, we will head back into the city and drop you off at your hotel, for some well deserved idle time. Later that evening, we will pick you up from the hotel and take you on a tour around Moscow, surfing the city's world-famous Metro. On our way across town, we'll stop by the Arbat for some souvenir shopping, hang out and have a genuinely good time mixed in among the colourful crowd. After an eventful day yesterday and a good night out, we'll take it easy in the morning. Depending on your scheduled departure time from Moscow, we'll pick you up at the hotel at any time convenient for you before 12.00 pm and bring you to the any of the 3 Moscow international airports to say: "thank you for flying with us. Farewell." We are working hard to fill the IL-76 MDK zero-G loads as quickly as possible. Typically there are several pre-manifested flight days scheduled each year. Please understand, that in order for us to guarantee a stable price structure for zero-G flight tickets, we need 14 participants per each flight on the IL-76 MDK. To keep it fair, we accommodate our guests on a first-come first-serve basis. If you buy enough tickets to fill the entire IL-76 MDK load (14 slots), you can pretty much fly whenever you want to. Please be advised though, that we do need a 65 day min. lead-up time once we have received your passport copies, in order to organize the required visas and associated security clearances for the GCTC. To book your zero gravity flight tour, please fill out and submit the booking request form specifying the number of participants, your preferred flight dates and your choice of either 1 day or 3 day tour itinerary. Once we have received your initial request, we will contact you for copies of your passport and forward your detail to our service partners in Moscow for a final review. After they come back to us with a confirmation of your requested dates, we will contact you with specific travel dates, send you a service contract and the necessary payment instructions. Please remember, that we do need a 65 day minimum lead-up time once we have received your passport copies, in order to organize the required visas and associated security clearances for the GCTC. Q: Do you provide accident insurance? A: yes, of course. We arrange for a special policy covering any accident which might occur during your time with us. Q: Do you provide visa support for entry into the Russian Federation? A: visa support is automatically included in the above listed prices if you book the 3 day trip itinerary. Of course, we gladly assist in arranging for the necessary visa upon request if you did choose the 1 day itinerary as well. Prices for visas may vary, as they depend on selected processing times at he embassy, and thus, the lead-up time of your request for visa assistance. Q: What kind of outfit should I wear for the zero-G flight? A: you'll be provided a jump-suit for your zero gravity flight. Under it, best wear comfortable sports wear. Regardless of the season, rather err on the warm side. Q: Will I feel nauseous onboard the IL-76 MDK? A: you might. Probably though, you will be too busy having fun. A: You can pay via electronic funds transfer into our foreign currency account. Q: What types of service guarantees do you provide? A: Flight Club service partners in Russia are recognized tour operators in the Russian Federation and listed in the public Registry of Tour Operators # MBT 010053. Accordingly, all our clients are protected by the Russian government with a mandatory min. insurance amount of USD 1,000,000.00 for all types of risk factors involving touristic activities. Q: What is your cancellation policy in case my zero-G flight is cancelled due to mistakes on your side? A: we give you a full refund on all payments made within 30 days. Q: What is your cancellation policy, change of travel dates policy in case I cannot travel as agreed because I get sick? Any refund payments will be sent to the originating account within 30 days of receipt of your written notice to cancel or postpone your trip. For more detail, please review our payment and refund policy. Q: Does Flight Club sell gift certificates for the IL-76 MDK zero gravity flight experience in Star City? Q: I was looking for a suitable corporate team building event venue. Is this a good choice? A: Judging by the number of times people ask us this particular question, it certainly seems to be way up there on everybody's list, to say the very least. Should you have any unanswered questions regarding our zero-G flights, please feel free to send us an inquiry or speak with us directly using the live chat feature on this site.